At the recent Self-Publishing Book Expo in NYC, indie authors got ready for their close-ups, each taking home a FREE set of professional author head shots. The Kobo Writing Life team brought in local professional photographer Michael Benabib, who did an amazing job snapping pictures of conference attendees. 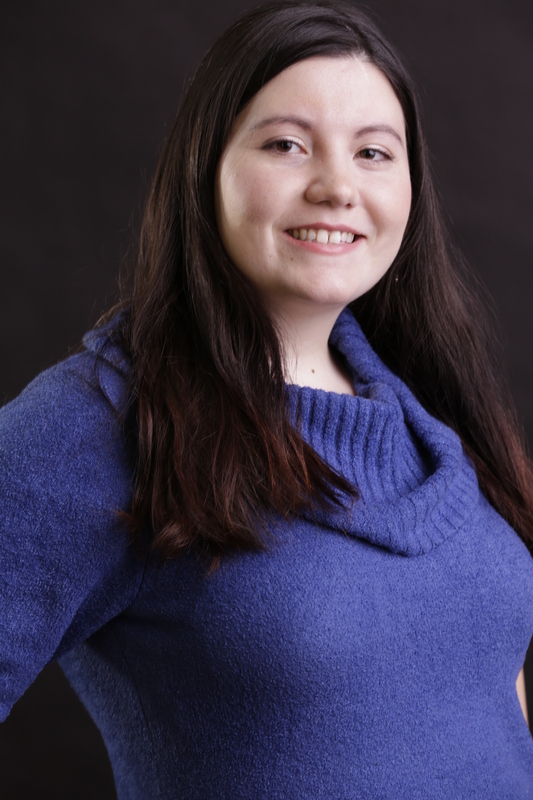 Kate Tilton, an Author Assistant and Social Media Manager, used her new headshot to update her Twitter and LinkedIn pages. “I’m so thankful for the author photos I received from Kobo Writing Life,” says Kate Tilton. 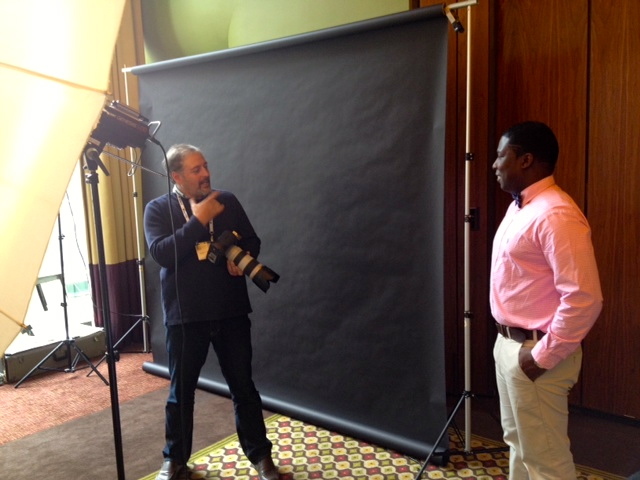 The conference attendees and KWL team enjoyed working with Michael, and highly recommend his services if you’re in the New York area and in need of a new head shot. The unique offer was a resounding success, which we plan to replicate at future KWL events. 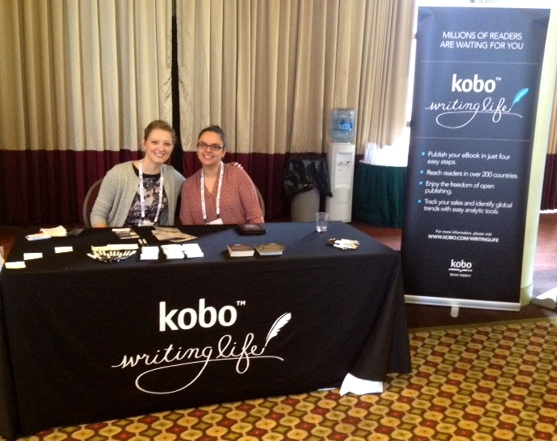 Stay tuned for upcoming opportunities to get free head shots, sponsored by Kobo Writing Life! US Manager Christine Munroe and Merchandiser Shayna Krishnasamy man the KWL table. I’m so glad I was able to go and meet you Christine!